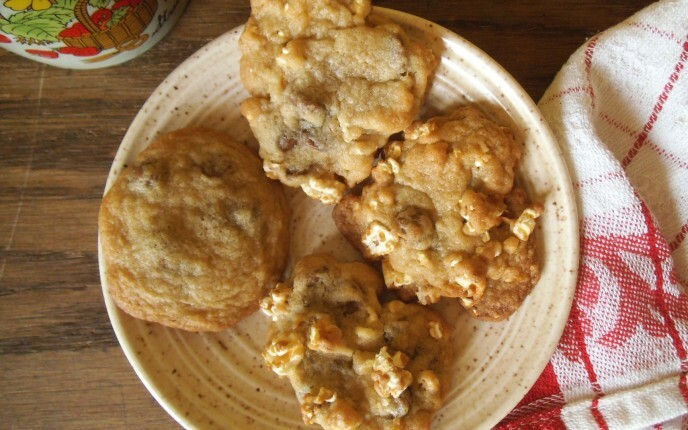 This delicious recipe for Buttered Popcorn Chocolate Chip Cookies is from Joy at Joy The Baker. Ok, so anyone who’s thinking “that sounds weird” go make popcorn and toss in a bag of M&Ms, if that doesn’t convince you that chocolate and popcorn are meant to be your taste buds are broken. But don’t be discouraged, these cookies are still delicious without popcorn. My boyfriend is among you broken taste buds people, every time I make this recipe I make half the batter without popcorn so that we can both enjoy them. 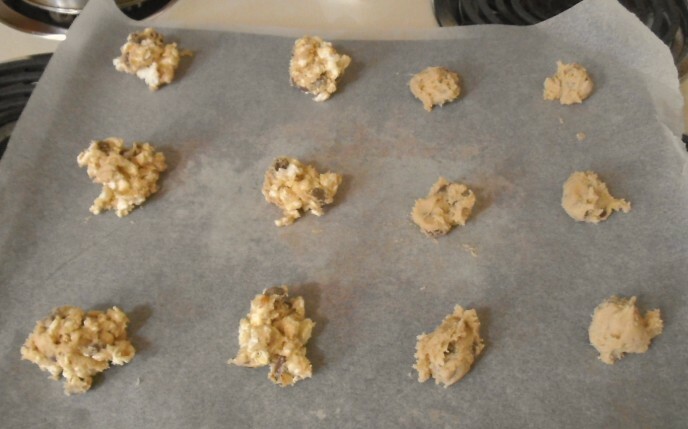 I love sweet and salty desserts, and these cookies are the best for curbing that craving. 1/4 cup corn kernels = 8 cups popped popcorn, depending on what brand you use you’ll need 1-2 bags, I use 1 bag of Orville Redenbacher. So if your sweet tooth is longing for something with the perfect mix of sweet and salty I would strongly record your give these unique cookies a try.